Added many new configurable options for the viewer. For more information on how to add a configuration profile to Vizit SP, please refer to the updated knowledge base article. Added support for InfoPath forms (both web-based and desktop-based). Added REST service to convert InfoPath forms (and other documents stored in SharePoint) to PDF format. InfoPath to PDF conversion preserves form attachments. Added Vizit List Integration web part as an alternative to using the Vizit column and integrates with all list view web parts on a web part page. There are now tooltips for the Viewer and Previewer icons. Documents that are checked out by Vizit SP and not saved will now have their checkouts discarded. Now Vizit does not require .NET 3.5 to run search-related and page manipulation functions. Fixed an issue that would cause the viewer and previewer to fail when rendering a Word document if it was opened in Vizit before Word support was enabled. Fixed a problem with the Vizit Scanning ActiveX control which prevented it from installing on Windows 7 client machines. 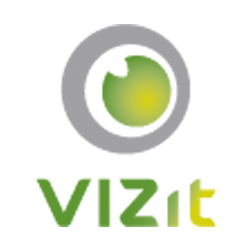 Fixed an issue where Vizit would not behave as expected when the format of the document was not supported. Vizit no longer prompts the user for comments when a given library does not have versioning enabled. Fixed an issue where uninstalling Vizit would cause future exports of a site collection to fail. Please see our knowledge base article for more information on how to resolve this issue when uninstalling 2.1 or earlier.